A lovely support to stabilize and deepen love for yourself and others. 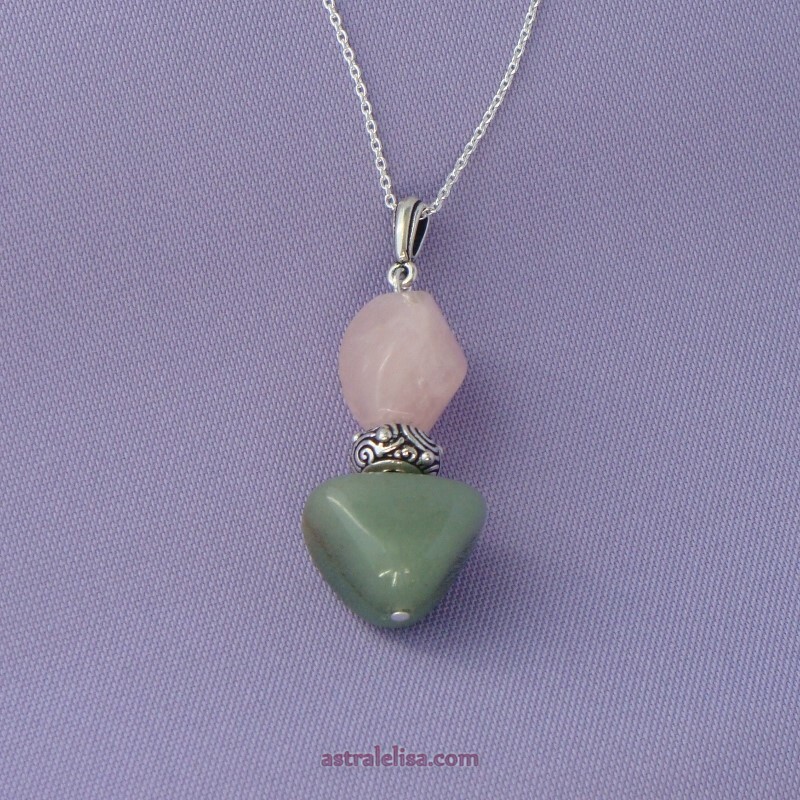 The Love anchor pendant combines rose quartz and green aventurine; approximate length is 6 cms (~ 2.25 inches). Please note the price does not include a chain.